User-friendly website layout, appealing design, and really easy navigation – these are the features we aimed for while building this young retail company’s website. Simplicity is the key for successful enterprises on the web. Websites that are created easy enough for anyone to get around and understand, will attract business from a broad range of users. That’s why we decided to take the simple approach to layout, design and navigation for this new website. 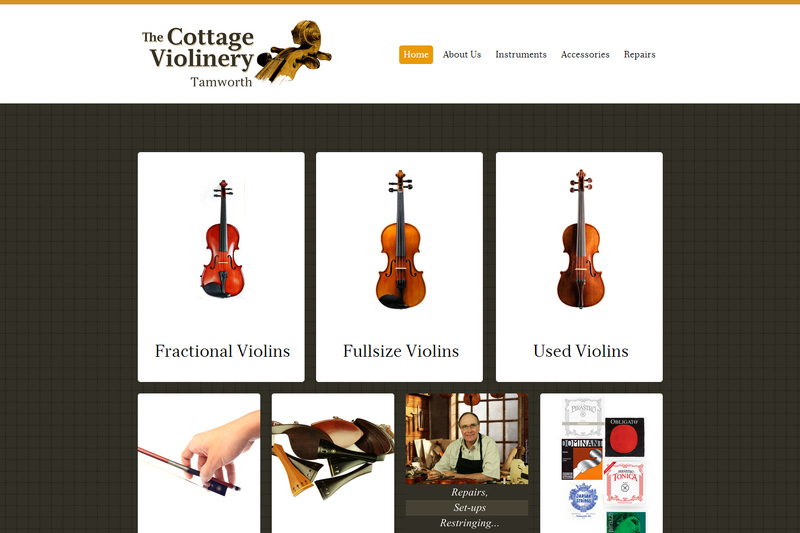 The Cottage Violinery sells student to advanced violins, violas and cellos, as well as strings and accessories. With its base in Tamworth, the violinery was recently established to meet the need of high quality stringed instruments for both beginners and advanced musicians.